Alex Rios, my compatriot of nearly a decade, designed and fabricated these, cutting the serpents and thunderbolts lengthwise from large diameter pipe. 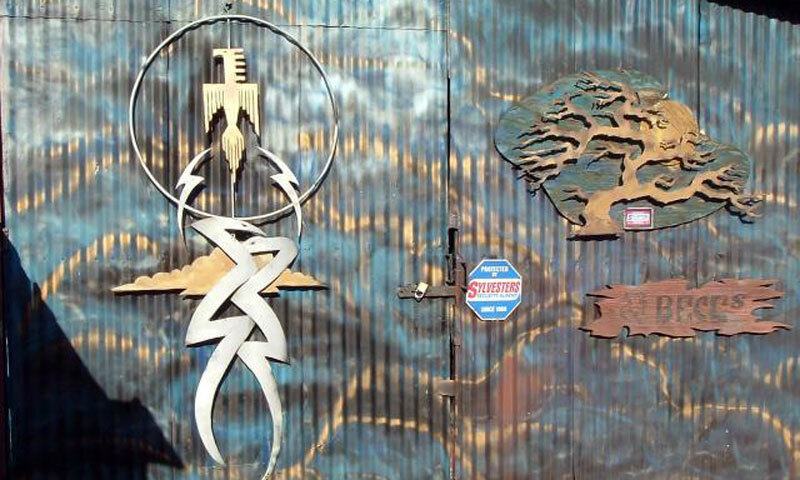 This metal art is on the entry doors to Beck’s Welding shop. Beck’s welding has created many such unique metal art pieces for businesses and homeowners in Cayucos and as far north as San Simeon, east to Paso Robles and south to San Luis Obispo. If you are interested in having a unique piece of metal sculpture or art for your business or home give us a call.